Find free classifieds for Apartments for rent for sale or to buy in Tamil Nadu. FREEADS in India offers you a platform to post free advertisements or classifieds for Apartments for rent, Tamil Nadu. FREEADS in India helps you search, find, buy, sell, rent or hire in various categories like apartments, goods for sale, local services, cars , jobs and many more in Tamil Nadu. Shown below are ads available in Apartments for rent, Tamil Nadu. You can use search box above to refine your search. Medavakkam aprtment for rent 15 k.
Aura promoter a leading Land Sales in Chennai company offers Approved Plots, Villas, Apartments, Townships. Let your dreams come true with the best plot promoters in Chennai. We are one of the foremost organizations, engaged in offering a wide range of Land Sales in Chennai. These are rendered using best unique techniques and following international industrial standard. 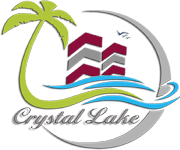 Crystal Lake Stays is the Best Service Apartments in Coimbatore. We provide quality service apartments in Singanallur, Avinashi road, Peelamedu, Sowripalayam, Near airport, Coimbatore.. Crystal Lake Stays is the Best Service Apartments in Coimbatore. We provide quality service apartments in Coimbatore Sowripalayam, service apartments in Coimbatore Peelamedu, service apartments in Coimbatore Avinashi road, service apartments in Coimbatore Near airport, service apartments in Coimbatore singanallur, Coimbatore. Looking for budget hotels near Porur? Vijayamcy is the best service apartment in Porur which offers comfortable apartments equipped with all the modern amenities at a lesser rate than the hotel rooms. The hotel is situated in close proximity to the main commercial and residential area which saves both your time and money. Our top Paper cup making machine model and suits more intense production cycles.Usually people upgrading or expanding their Paper cup making business choose this machine for its high paper cup output and continuous manufacturing schedules..
Get the safe accommodation in BeehiveOMR, the best PG in Perungudi which offers various facilities and rooms in various ranges. Contact: +91-8263980990 http://www.beehiveomr.com/pg-in-perungudi.php. 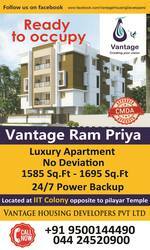 Vantage Housing Developers Pvt. Ltd. formerly known as Vantage Tower Builders is a registered 30 year old Premium Real Estate company, securing its long term local presence in the key markets of the future. With a strong background in the Real Estate sector, our CEO Mr.P.Shanmugham began his long road to success as a real estate investment promoter, both Buildings and Plots across Chennai in 1973. Three bedrooms with loft and wardrobes Vitrified tile flooring. TV & Telephone points in all bedrooms. Geyser fitted in the bathroom. Distance From Key Facilities:- Sholigannallur Wipro/Accenture/HCL/CTS - 7 km, Hospital - 1 km , Airport - 12 km , Railway Station - 8 km , School - 1 km Amenities:- Water Storage, Security, Generator Power Back Up, Park, Rain Water Harvesting, Lift, Club House, Gymnasium, Temple, Supermarket Landmarks & Neighbourhood :- Adjacent to Medavakkam koot road bus stop. rent for both married Working Women & Families Note - In case Of Working Women only max of only 4-5 members allowed. For Each Member security deposit Twenty Five Thousand and monthly rental of Four Thousand including EB and maintenance. 24 Hours Boar and corporation water supply. 24 Hours security. Brand new unfurnished 2 BHK flat for rent in Nandivaram-Guduvanchery. Located close to SRM Public School, Velammal Vidyashram, Behind Hatsun Agro Products and 1.2 KM to GST Road.6 units available and ready to occupy. Contact Mr.Aleem - 7200790711. Price is slightly negotiable..
"Syening Serviced Apartment" Offers Luxury and Deluxe Category Guest House || Service Apartment in Chennai Velachery , OMR, Thoraipakkam, Sholinganallur, Tidel Park. Syening Associates in Chennai Velachery Apartment Located in Very Prime Location. Kamakshi Hospital to Our Apartment Only 1 KM Distance. "Syening Serviced Apartment" Offers Luxury Category Guest House || Service Apartment in Chennai Velachery , OMR, Thoraipakkam, Sholinganallur, Tidel Park. Syening Associates in Chennai Velachery Apartment Located in Very Prime Location. Kamakshi Hospital to Our Apartment Only 1 KM Distance. Velachery Railway Station only 300 Mtr Distance. Thiruporur, SARE Dewy towers, cresent parc, 3BHK 2toilet, Hall, Kitchen, Dinningroom, sitouts, 1275 Sq.ft.24hours water supply, car parking, sq.ft, security, POWER BACKUP, Three phase supply, FURNISHED. Grated community. Community hall, Daycare , swimming pool, children play ground, school bus. Nearer to SSN Engineering collage, Chittinad Hospital, all schools, Thiruporur Murugan temple. JKB Housing was started in 2003 with the primary goal of providing unmatched customer service in the field of property development and management. Our unique approach to business ensures your satisfaction in all your interactions with us..
Accomodate with best serviced apartments which was fully furnished & modernized as one of the luxury apartments in Chennai within your budget by contacting us on Chennaistayz. Citadil Construction is offering Citadil River Okas, Citadil Amurtha Classic Shrine, Citadil Sreepadam the luxury residential property in Bangalore, Home construction, Building construction, Interior design. 3BHK - 1200 sqt. Ground Floor Covered Car Parking, 24 hrs water supply and Security Near to Nellai Nadar School Rent Rs. 20, 000 Maintenace Rs.2000 Advance Rs. 1, 20, 000 Contact : 9884057123 / 8190028334. MIG FLAT, ELLIS NAGAR, HEART OF THE CITY, MADURAI. MIG FLAT, ELLIS NAGAR, MADURAI. MIG FLAT ELLIS NAGAR HEART OF THE CITY, MADURAI. CORPORATION TAB- DRINKING WATER FACILITY. 24 HOURS WATER FACILITY. 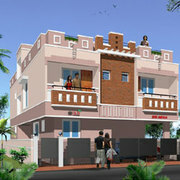 CLOSE TO CITY, SHOPS, HOSPITALS, TEMPLE AND BUS STAND. ONE HALL, BALCONY, SINGLE BED ROOM, SEPARATE KITCHEN, SEPARATE BATHROOM AND TOILET FACILITIES, EXCELLENT ROOF TOP LOCATION, EXCELLENT AIR CIRCULATION. MIG FLAT, ELLIS NAGAR, MADURAI. MIG FLAT ELLIS NAGAR HEART OF THE CITY, MADURAI. CORPORATION TAB- DRINKING WATER FACILITY. 24 HOURS WATER FACILITY. CLOSE TO CITY, SHOPS, HOSPITALS, TEMPLE AND BUS STAND. ONE HALL, BALCONY, SINGLE BED ROOM, SEPARATE KITCHEN, SEPARATE BATHROOM AND TOILET FACILITIES, EXCELLENT ROOF TOP LOCATION, EXCELLENT AIR CIRCULATION. "Enjoy your holidays by staying in our high end serviced apartments. You can have best amenities at affordable rate. • Location: Mogappair, Chennai • Bedrooms: 2 • Area: 850 Sqft • Rent - Rs 2000 per day • Generous Water Supply • 2 Big Bed Room with beds and curtains • A/C • Car Parking • Western Toilet & Geysers • Gas connection with all utensils • T.
double bedroom flat available at groundfloor with two wheeler parking.opp to telephone exchange next to adyar sree bhavan hotel. Rental house available. Annanagar East. 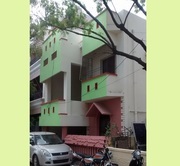 VOC Nagar, 2 Bed room, Hall, Kitchen, 2 Toilet, 2 Wheeler Parking. GF Rs. 15, 000. and FF Rs. 18, 000 available. IT People prefered. Only for family. Not for commercial purpose. Agnets can also contact 98846.09093. There are plenty of new builder projects in Chennai coming up in the city and its outskirts. The rent rates have gone up in this city that has led people in huge numbers to look for new builder projects in Chennai, so that they can have their dream apartments. However, before making the selection of the new builder projects in Chennai, it is very important to consider several aspects that would help in making the right choice and to get value for the investment. Maplewood is one of the best OMR Luxury Constructions Flats Development in Chennai.We provide Luxury Residential Apartment Sales, Retail Properties in Tamil Nadu.. Welcome to the new world of service appartments. Come stay in a spacious and beautiful place you will cherish for long. You will have all the basic amenities provided.Its a neat, clean and comfortable place to stay. • Location: Mogappair, Chennai • Bedrooms: 2 • Area: 850 Sqft • Ample Water Supply • 2 Big Bed Room with beds and curtains • A/C • Western Toilet & Geysers • Gas connection with all utensils • T.
"Holiday Extended Stay, service apartment in chennai mogappair is the best accomodation available for you in that locality. Come stay with us and experience the comfort. • Location: Mogappair, Chennai • Banks with ATM facilitiesnearby. • Hospitals & Pharmacy • Madras Medical Mission at walkable distance. "We have affordable serice apartments in Mogappair Chennai. Clean neat apartment that is at a very short distance form all the basic requirements. Come and have a plesant stay with us. • Location: Mogappair, Chennai • A/C • Western Toilet & Geysers • Gas connection with all utensils • T.
Come stay at our luxurious service apartments which is located at a very nice location. You have all the basic aminities available. Come and enjoy and have a very plesant stay with us. • Location: Mogappair, Chennai • Nilgiris, Pharmacy, Cake & Cafeteria, Fruits & Vegetables & Bakery. • Banks with ATM facilitiesnearby. India ads for Apartments for rent, Tamil Nadu, Apartments for rent free ads Tamil Nadu, Apartments for rent for sale Tamil Nadu, Apartments for rent to buy in Tamil Nadu. This page is a classified ads listing for Apartments for rent Tamil Nadu. This listing includes classifieds for sale and to buy in Tamil Nadu. If you posted an advertisement on Apartments for rent, Tamil Nadu before please use Edit my ads button to change or cancel your ad. Apartments for rent Tamil Nadu ads Tamil Nadu, Apartments for rent classifieds Tamil Nadu, Apartments for rent free ads Tamil Nadu, ads for sale Tamil Nadu, ads to buy Tamil Nadu, FREEADS in India. Find here ads for sale, to buy and rent in Tamil Nadu. Goods for sale in Tamil Nadu, vehicles for sale in Tamil Nadu, Tamil Nadu real estate for sale, Tamil Nadu property for sale, property for rent in Tamil Nadu, business ads in Tamil Nadu, Tamil Nadu business classifieds, services in Tamil Nadu, Tamil Nadu services ads, jobs in Tamil Nadu, pets for sale in Tamil Nadu, Tamil Nadu dating, Tamil Nadu cars for sale.